I help business take advantage of Microsoft Cloud Platform – Azure and Office 365, to achieve their business goals. I also help then with SharePoint implementation and administrations. 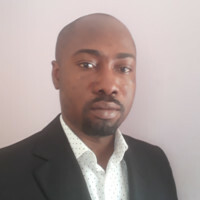 I am a Microsoft Certified Professional, MCSE: Cloud Platform and Infrastructure, MCSA: Office 365, MCSA: Windows Server 2012 and have worth of experience to help you achieve your business goals. If you need Office 365 consultant, or Azure consultant, please contact me. If you need training for your employees on how to use and benefit from the collaboration tools offered by Office 365, I would be glad to help. Below are some independent projects I have developed for some companies. Web application built with Knockout JS and a rest-api backend built with PHP. An SPA powered by Angular and and a rest-api backend built with PHP. ChurchOffice.info – A church management platform for managing all aspects of the church, with mobile app for the members of the church. Web application built with Knockout JS and a rest-api powered with PHP backend.